Chip cards are plastic cards with an integrated memory that can be used to save (personal) data such as name, address, ID or membership number. As an official partner of the worlds leading chip card manufacturers, we provide you qualified consulting, reasonable prices and premium chip cards made by e. g. LEGIC (prime, advant, CTC), MIFARE (Classic, Plus, Ultralight, DESFire), HID Global (iCLASS, Prox), Hitag, Infineon, EM Microelectronics and several other manufacturers. All chip cards can either been blank, imprinted, encoded and personalized when you wish to engage our service team of printing experts to produce your plastic cards according to your needs. In case you are wondering which chip card perfectly suits your functional, memory or financial requirements, our team of security experts is standing by to provide you with complimentary and nonbinding consulting. YouCard provides you all current chip cards and notably RFID chip cards and smart cards in store. These cards may be used to contactlessly or contactbased convey encoded data. It goes without saying that YouCard offers you every plastic card with an individual, customized design by demand. We can personalize your plastic cards with an individual text, number, name, code chiffre or logo either. Alternatively you can print your plastic cards yourself with one of our professional and economical card printers and encode them with one of our card software solutions like CardPresso. If you prefer flexibility in terms of imprinting chip cards, we will consult you about a chip card printer that will meet with your approval. As an official partner of the world’s leading manufactures, we provide premium-quality and professional card printers at reasonable prices. These high-end printers have the ability to imprint chip cards frameless at a breathtaking high photo-quality with resolutions of up to 600 dpi (Nisca PR-C 201 Card Printer). With that said, for instance, the HID FARGO printer HDP5000 with its unique printing method is perfectly suited to imprint contact-based or contactless chip cards. For coding and encoding chip cards, we have a huge portfolio of premium chip card readers. 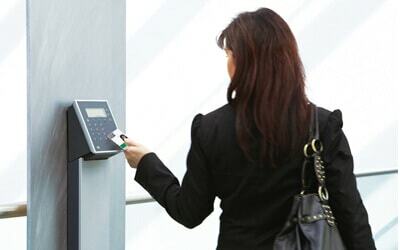 All readers are professional and customer friendly products, field-tested and recommended chip card readers by experts. YouCard offers also suitable coding modules for all common smart cards. So you can individually personalize and print your smart cards in one step due to the build-in option of your card printer. Combining the two processing steps is time-saving and avoids erroneous inputs. YouCard offers such card reader modules for many selected Zebra card printer, Nisca card printer, Evolis card printer and HID Fargo card printers. Which Chip Card Technology do I need? 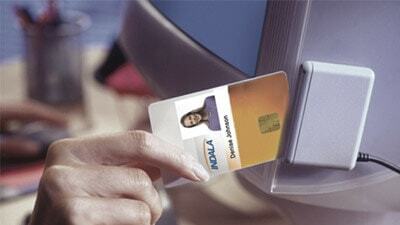 Chip cards (contactbased) need direct contact for all encoding procedures. You can encode chip cards by yourself with a USB or build-in card reader or card writer system, like our premium HID Omnikey card reader. RFID chip cards can be encoded and read contactlessly via wireless technology. RFID chip cards also know as transponder cards and are very common in many types of cards projects nowadays. Smart cards are chip cards with an included microprocessor and particular memory which provides you with maximum data security and allows you to integrate several applications into just one plastic card. Chip Cards with magnetic stripes are a older, but common and especially cheap way to save personal or ID data onto a plastic card. We provide you with standard loco and even hico magnetic stripe cards with extensive memory. Dual interface chip cards are plastic cards whose memory chip has two interfaces with one of them being contactbased and the other contactless. Contrary to hybrid cards, both chip interfaces are integrated in one chip.